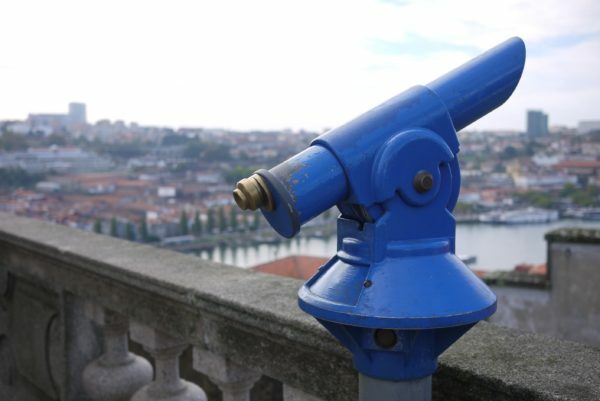 Where can I get the best views of Porto? Porto, with its tiny colourful houses built on hilly terrains and the six bridges over the Douro river, is indeed a city prone to good photos. The cathedral of Porto was its birthplace more than 900 years ago. 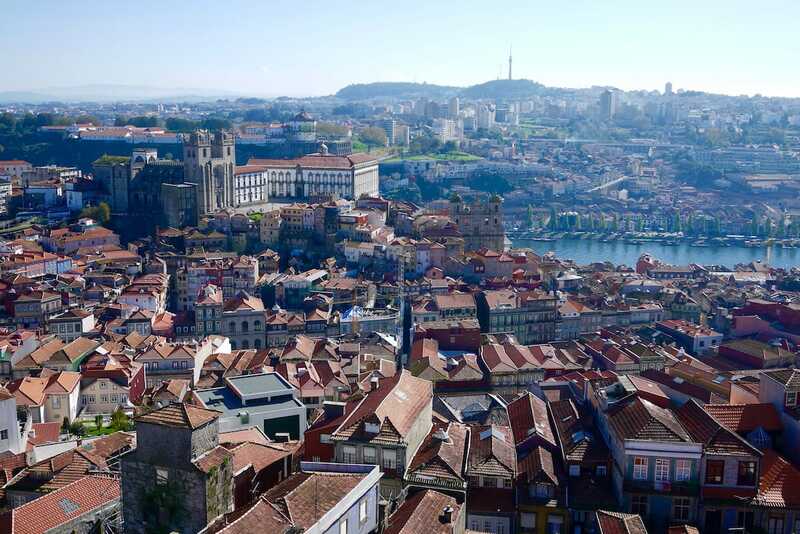 So besides enjoying one of the best views of Porto, you can also take the opportunity to visit the cathedral (built during the XII century) and the episcopal palace. 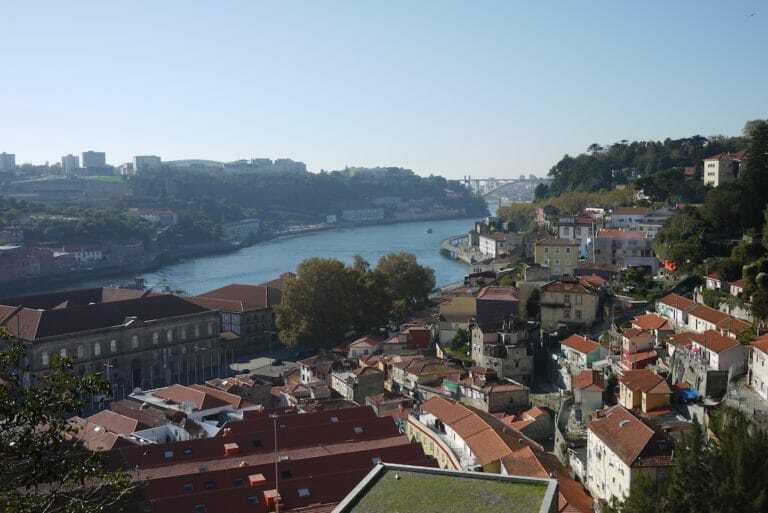 There is a tourism office there nearby the cathedral, so it’s a good starting point to discover Porto. 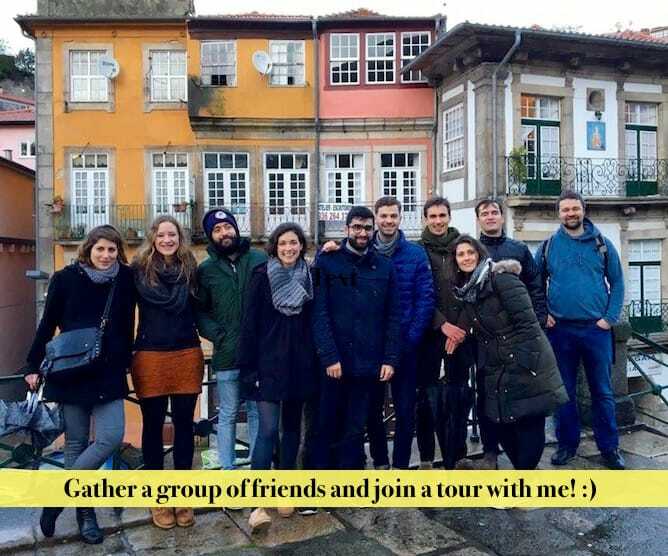 If you take the narrow streets you’ll find yourself immersed on ancient neighbourhoods that will lead you all the way to the douro river – an experience I highly recommend! Quite often people visit the cathedral of Porto and miss Igreja dos Grilos (it translates to crickets’ church! ), from which you can get a magnificent view not only of the river but also of the city center. When you get there, take a moment to visit this unique church, which combines both baroque and neoclassical styles. Clérigos tower needs no introduction as it is the ex-libris of Porto. Almost 76m high, it is the perfect place to have a 360º view of the city, so from there you definitely get one of the best views of Porto. 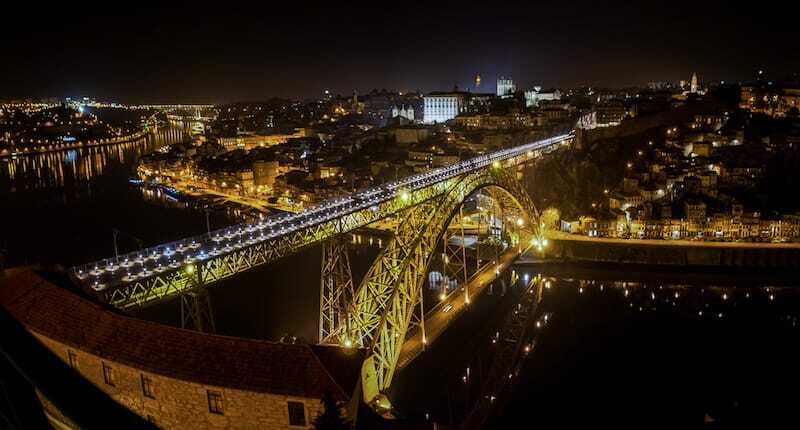 Ideal for: Get a 360º view of Porto, feel the king of the world! 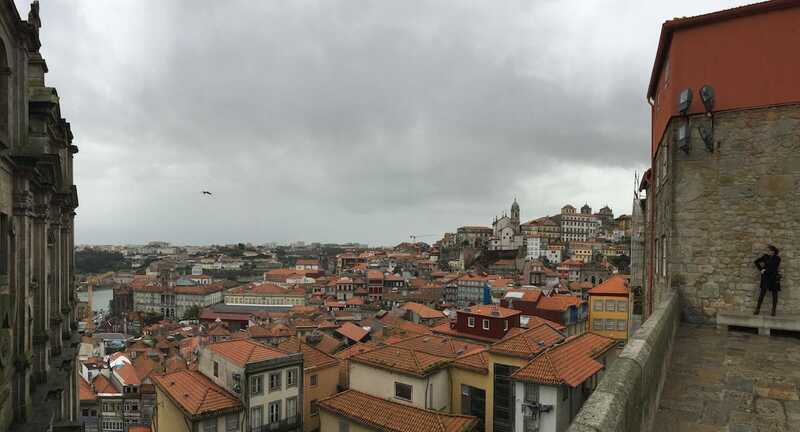 In Porto we say that “the only good thing in Vila Nova de Gaia is the view towards Porto” – and I was almost eaten alive when I wrote about it 😛 Whoever said this was probably thinking about the view from Serra do Pilar, which is absolutely breathtaking. 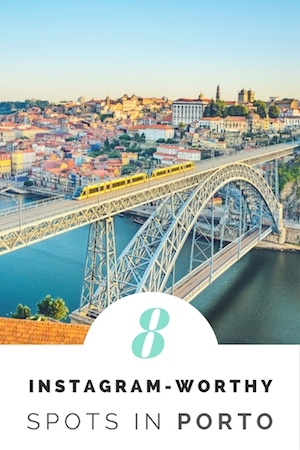 When you walk through the superior deck of D. Luis bridge (you can also take the yellow subway line and leave at the station JARDIM DO MORRO), you’ll see a steep street on your left hand side all the way up to Serra do Pilar. 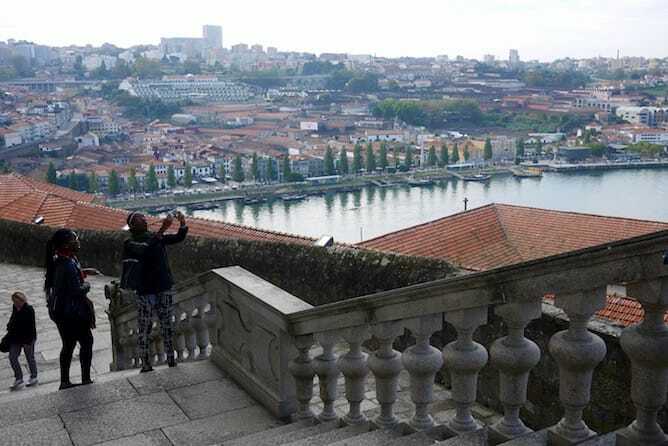 On the top there is an ancient monastery from where you can enjoy a beautiful view of the river and of Porto. 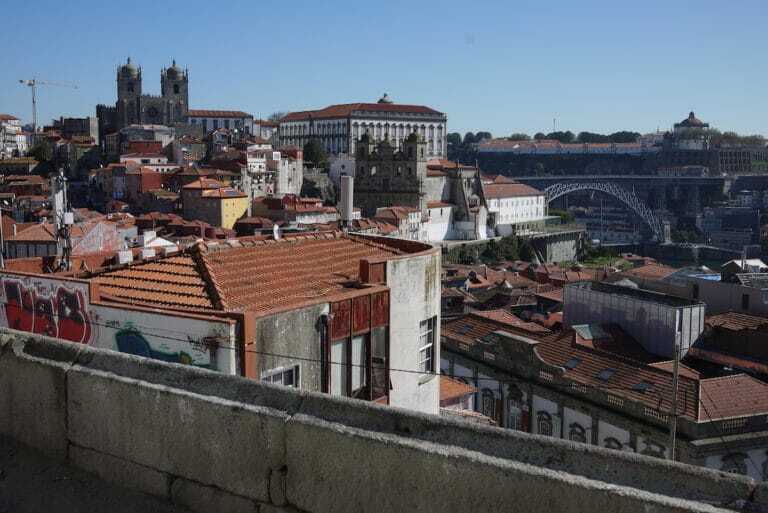 Right in the middle of the Old Jewish neighbourhood lies a hidden gem with one of the best views of Porto from Porto. 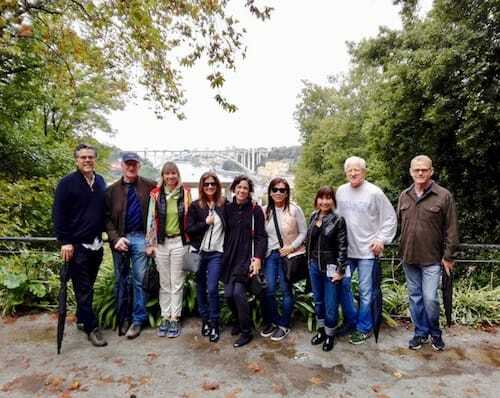 From there you can see some of the main sights of Porto (the cathedral, the Stock Exchange Palace, etc), but also the douro river and the Port wine cellars. If you continue down the road, on your right hand side, you’ll get yourself very close to Mercado Ferreira Borges. Jardins do Palácio de Cristal, or the Crystal Palace gardens, owe its name to the Crystal Palace that was constructed in the XIX century to host the International Exhibition of Porto. Probably the most popular spot among the locals as, due to the wind coming from the river and the shadows of the trees from the nearby garden, this is one of the coolest places during Summer days. We go there to grab a beer (there are some nice restaurants nearby), read a book or simply chill out with friends. And, out of curiosity, Virtudes means virtues in Portuguese: this viewpoint was given that name because when you look down below through the iron bars you’ll see a fountain which water was believed to cure all the diseases!